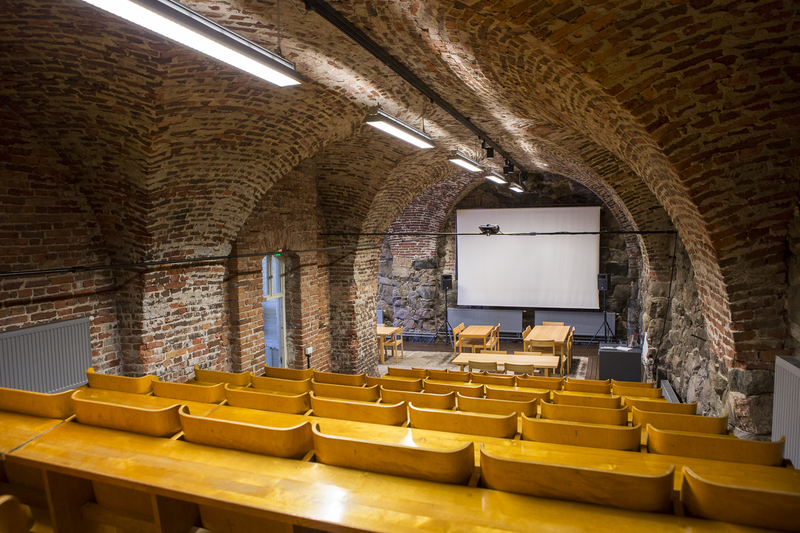 The Ballast room, the auditorium of Suomenlinna, is a tall, vaulted space with stone walls. The auditorium can seat 54 persons, and the adjacent kitchen has tables and chairs for 20 persons. Suitable for: meetings, lecturers, small public events. The lease period for conference facilities is in half day bookings 8 a.m. to 1 p.m. or 3 p.m. to 8 p.m. and in whole day bookings 8 a.m. to 8 p.m. 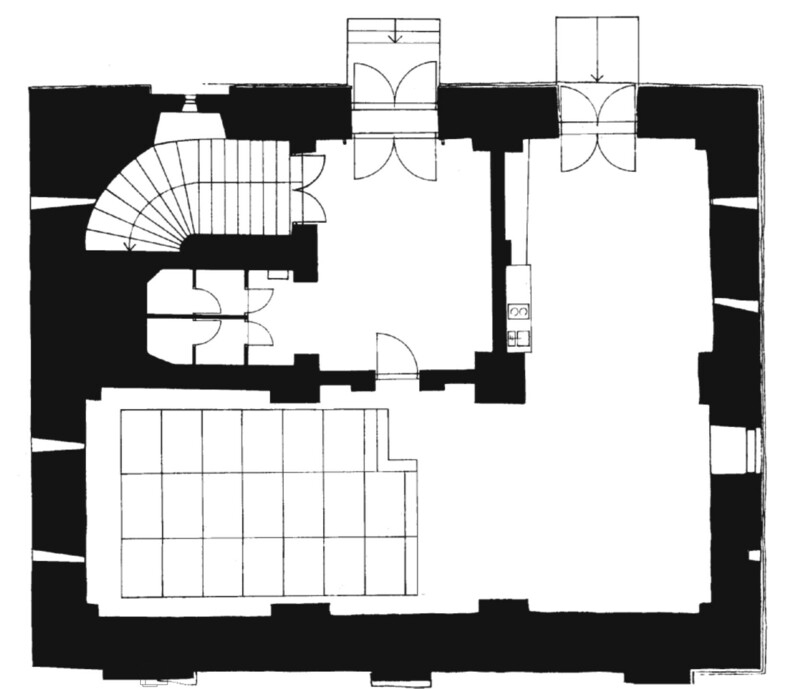 The Ballast room is a tall, vaulted facility in the stone base of the eastern wing of the Ehrensvärd Crownwork. The room was renovated to its current use in 1993. The floor is partly made from stone and partly from wood. The floor in the entrance lobby is made of cobblestone. The kitchen is equipped with a coffee maker, electric water heater, a coffee set, dishwasher and a microwave oven. The construction work in the eastern wing of the Ehrensvärd Crownwork began in 1776. By 1786, the building was ready for use. The cellar contained storages and a ballast room, which is what the name Paarlastihuone means. A sail-making shop and rigging shop used to operate on the ground floor and first floor. The mansard floor used to house a model room for ships as well as workrooms for the naval architect. The north end was reserved for apartments. At the outset of the Russian era, the building was still used by the navy, for instance, as a storage and working room as well as officers’ apartments. A Russian Orthodox church was located in the middle part of the building, probably on the second floor, at the beginning of the 1800s. The building was badly damaged during the bombardments of the Crimean War in 1855. The next year, the topmost one and a half floors were demolished and the building received its current look. The building remained in residential use until the end of the 1980s. Today, the office of the Governing Body of Suomenlinna is located on the upper floors.